As of 2001, the EEOC gets over 77,000 employee discrimination claims a year and an untold number of lawsuits are filed. Title 7 of the Civil Rights Act, the Americans With Disabilities Act (ADA), the Age Discrimination and Employment Act (ADEA), and the Family and Medical Leave Act to name a few. Many dealers have decided to insure this risk outside of their garage liability insurance policy with a stand alone EPLI policy. The availability of higher coverage limits. Better risk management and loss control services provided by a carrier that specializes in this type of coverage. They can provide training and assist with developing employment manuals, sexual harassment policies, and a detailed application questionnaire. Underwriters and claim representatives have special training. And support services such as HR consultants and loss prevention specialists, as well as defense attorneys who specialize in employment law are available to assist insureds when the need arises. Internet “help lines” also are available for advice and counseling to prevent losses or to assist with handling and concluding a claim. Losses do not affect the premiums for the garage liability policy. Many dealers don’t carry adequate EPLI coverage. In this increasing litigious environment dealers really need a separate policy providing a full range of coverage including wrongful termination, prior acts, discrimination and harassment. Make sure you’re covered for intentional and illegal acts, with no exclusions. There should be no exclusions for layoffs. EPLI rates are based on your number of employees and history of prior EPLI claims. Dealers with no prior EPLI losses can expect to pay $85 to $100 per employee for $1 million worth of EPLI coverage with a $10,000 deductible. There is usually a minimum premium of $1,500 or more for small dealerships. Employment practices liability insurance (EPLI) is a relatively new line of insurance that protects employers from liability relating to employment practices. EPLI covers a broad spectrum of losses arising from the employment relationship involving actual or alleged violations of federal, state, or local common or statutory law. [v] These policies typically shield the insured from such claims as those alleging discrimination, harassment, breach of an employment contract and wrongful termination. EPLI indemnifies the employer for actions filed in civil court, and may also cover arbitration and administrative proceedings. Depending how the policy defines “loss” or “claim,” coverage may kick in at an earlier point in time, for instance, when the employer receives a written employee grievance or pre-suit demand letter. 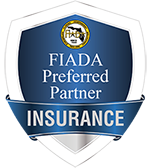 Some policies even provide free risk management consultative services to the insured. [vi] Unlike insurance policies that afford occurrence-based protection, EPLI is only available in the “claims-made” form. This means that the EPLI policy will only cover losses that the employer knew or should have known about during the timeframe that the policy was in force and perhaps for a short period after the policy expires, so long as the claim was made in a timely manner. Conversely, a property and casualty insurance policy typically provides “occurrences” coverage. Under this scenario, property damage discovered today, but which occurred five years ago under a policy that has long since expired, would still be covered. Because an EPLI policy is of the “claims made” form, the employer should review the policy’s reporting provision to determine the fixed period that the loss must be reported after the expiration of the policy period. The employer should also inquire about additional extending reporting coverage endorsements, which would provide the insured with a buffer period at the end of the policy period to report covered losses.